Kensington Metropark in Milford, Michigan, is a 4,481 acre park system where visitors can participate in numerous outdoor activities. 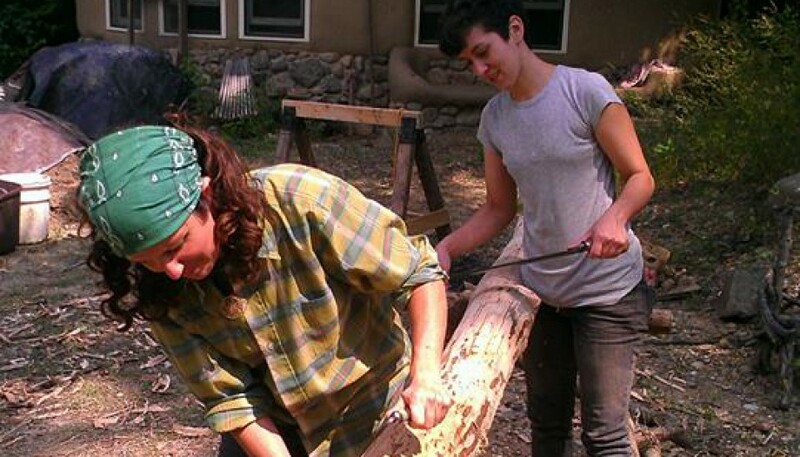 Many volunteers helped construct a new addition to the park, a 300 sq ft building made only from local, natural materials like wood, mud, straw, rocks. Dubbed the “Kids’ Cottage”, it will serve to educate visitors about green building techniques and materials. 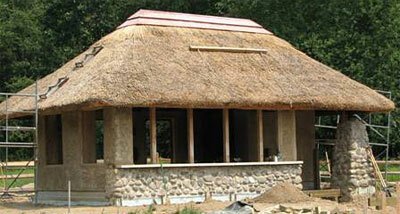 The non-toxic materials included: compressed earth blocks of dirt, limestone, and clay were made on site; reeds from an invasive plant species were put to good use as a thatched roof; dead ash trees, felled due to the emerald ash borer, were milled on-site to make the timber for framing the structure; fieldstone walls and strawbale walls finished with earthen plaster were incorporated as well. View a short video of the Kensington Kid’s Cottage taken by the Oakland Press, interviewing Carol Fink from the Kensington Metropark Farm Center. An article on the Kid’s Cottage in the Oakland Press May 19, 2008. Kensington Kids Cottage 2006 update, links and photos.